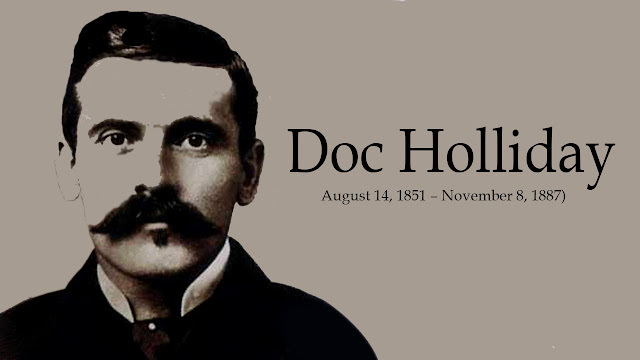 On this day Doc Holliday–gunslinger, gambler, and occasional dentist–died from tuberculosis. Though he was perhaps most famous for his participation in the shootout at the O.K. Corral in Tombstone, Arizona, John Henry “Doc” Holliday earned his bad reputation well before that famous feud. Born in Georgia, Holliday was raised in the tradition of the southern gentleman. He earned his nickname when he graduated from the Pennsylvania College of Dental Surgery in 1872. However, shortly after embarking on a respectable career as a dentist in Atlanta, he developed a bad cough. Doctors diagnosed tuberculosis and advised a move to a more arid climate, so Holliday moved his practice to Dallas, Texas. By all accounts, Holliday was a competent dentist with a successful practice. Unfortunately, cards interested him more than teeth, and he earned a reputation as a skilled poker and faro player. In 1875, Dallas police arrested Holliday for participating in a shootout. Thereafter, the once upstanding doctor began drifting between the booming Wild West towns of Denver, Cheyenne, Deadwood, and Dodge City, making his living at card tables and aggravating his tuberculosis with heavy drinking and late nights. Holliday was famously friendly with Wyatt Earp, who believed that Holliday saved his life during a fight with cowboys. For his part, Holliday was a loyal friend to Earp and stood by him during the 1881 shootout at the O.K. Corral and the bloody feud that followed. 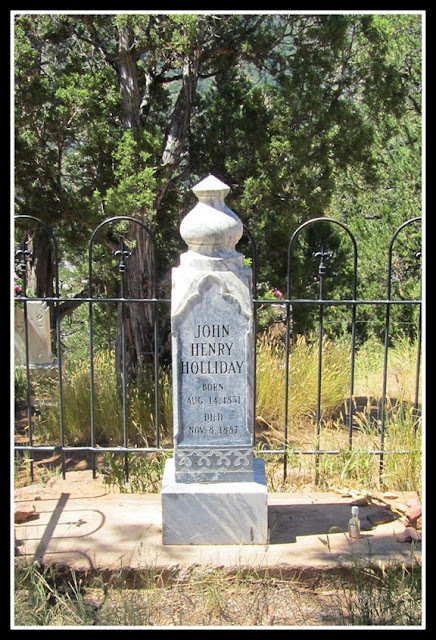 In 1882, Holliday fled Arizona and returned to the life of a western drifter, gambler, and gunslinger. By 1887, his hard living had caught up to him, forcing him to seek treatment for his tuberculosis at a sanitarium in Glenwood Springs, Colorado. He died in his bed at only 36 years old.